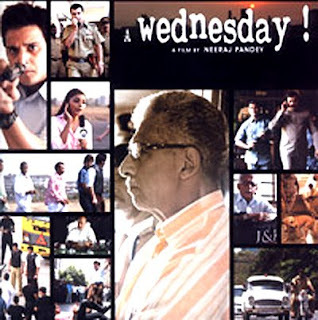 A Wednesday does grip you in the last twenty minutes, its point of view is relevant, powerful and thought provoking, but the journey to the twist in the tale is a irritating mix of cliches, jarring background music, some unintentionally laughable dialogue (in the first half), and a crawling pace with which the characters are introduced. The movie is watchable for Naseeruddin Shah's excellent portrayal of the main protagonist. Anupam Kher is fine, considering the emotional restraint the role required. The solution offered in the finale is debatable, we would ask ourselves - why would we do that? Is that the solution? It is not that I left the cinema hall dissatisfied, but with thoughts of how much better the movie could have been.